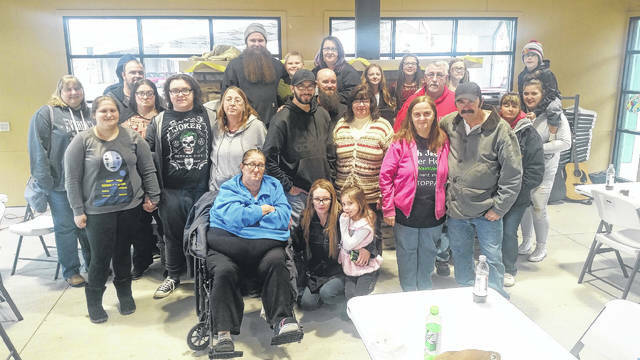 GALION — Family and friends of Galion’s Donna Cooper (bottom photo) surprised her last month with a party at the Big Four Depot pavilion in Galion. It wasn’t Donna’s birthday or anniversary, although she did receive a few gifts and mementos (top photo). Her family and friends just wanted to say thank you to Donna for being a good friend and for taking care of everyone in times of need. The gathering was held to honor Donna and to show her their appreciation for the continuous love and support she has for those around her. Donna rarely misses a family event, whether it be cheering at a sporting event, caring for her family, taking them and caring for them during appointments and after surgeries or simply providing moral support. 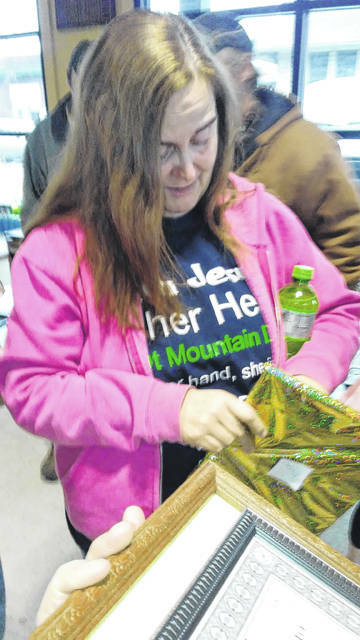 The surprise party was held because Donna — as described by her family and those closest to her — is one in a million. Donna had no idea the party was planned, but she had a good time, as did everyone else who attended.